You ever make a graphic for your Twitter posts and see that your image is chopped off in the stream? A head is chopped off and you may see a couple of words that make no sense. Yes, people who see your post can click Expand and they can be enlightened with your amazing graphic then. However would they even bother to hit Expand? Canva makes it so easy to create a Twitter post, Facebook post, or Pinterest post. They have their ready-made templates custom sized so you won’t have to worry about heads getting chopped off. Although they don’t have a template design for Google+, the Twitter post works like a charm and all is good in the Google+ world without the annoying cutoff look on the image. Today’s video will show you how to use the social media graphic designs by bundling, copy, and downloading to your best advantage. Just a few tricks up my sleeve that might save you some time and money especially if you’re a Social Media Manager like me. 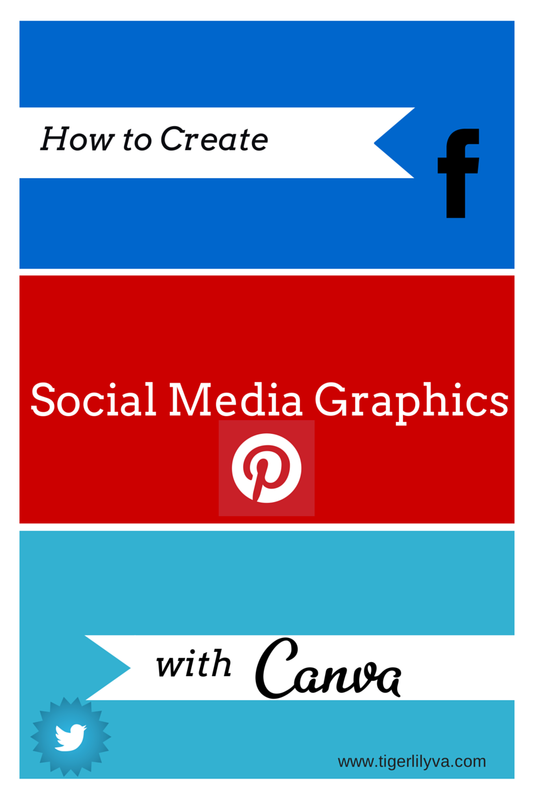 Do you use Canva to help create awesome images for social media? Do you have any other tips that I might have missed? I’ll be coming out with some great social media graphic packages that may help you with your social media journey. Be sure to check out my Services page. Thanks for the reminder of how great Canva can be!! I’m so glad to see you’re a Canva lover too! I love Canva… so much you can do with it. I have been hearing a lot about Canva lately. I usually create my own graphics from scratch. However, I don’t always have time to do so! Anything that makes me more productive is a plus to me! I signed up for your e-book Lillian so I can get up to speed! Thank you so much for giving me the details on Canva. Yes, Canva is pretty popular. It definitely helps when you’re busy. Glad to know you’ve signed up! I hope you find it useful. Canva is always improving and starting to get new features so I’ll have to start on Version 2 soon. I love Canva! These days, when images are so complicated even when you purchase them, one needs to be creating their own on their blogs. It started about two years ago when images were changing their terms and conditions. One needed an attorney to figure it out. What was happening and still is when using even paid images, is that the person who made the image might have changed their terms and conditions and of course we are not aware….thereby creating many law suits online. I know it is big stuff in the U.S. but not sure if it is happening in other countries. All this prompted me to make my own images. It was very time consuming using a photo I took and putting words on it. But now Canva is here and I use it often. I also like to use it for social media….one can get very creative with these images. Isn’t Canva just a dream come true?! I do love photos with quotes and I do use Canva for that also. To be sure it’s okay to use the photos, I go to specific CC0 public domain sites with hi-res photos. As long as you go with those where they state it’s okay to modify then you’re good to go. I love that you use Canva! Hello Lillian, I have been learning about canva from you for a while now yet I still have not even visited the site. I do think it is time I give this a try. Oh my goodness Chery! I can’t believe you haven’t been to Canva yet. Please do and let me know what you think of it. Hi Lillian, I use Canva but watching your video, I’ve just learned quite a few more things that I didn’t know about. Thanks for sharing. That’s awesome news that you learned something new! I do love creating with Canva. I purchased Photoshop and, although I enjoyed learning and using the application, it was time consuing so I had to delegate it to my VA. I find Canva to be so much faster that I usually create my own images. And, of course, there was no learning curve with Canva. I agree! Photoshop can be time consuming. That’s why I love Canva and I feel that many business owners can benefit from Canva. Thanks for sharing your video tutorial. I have a Canva account but I do not use it. I am glad that you shared your tips about copying the image to keep the layout and for downloading single images. I’m so glad it was useful to you Tamara! I always have some tricks up my sleeve to get things done just a bit faster. Hi Lilian. I love Canva also, because its so simple to use. I am not all that creative but there are so many great options to using this tool.